In preparation for the 2019 Online NAPLAN Testing in May (Weeks 3 and 4, Term 2), students will be given the opportunity to undertake a 45 minute practice test which will be held this term on Tuesday 26 March. This is an Omnibus Test comprising of a combination of reading, numeracy and language convention questions. The benefits of students engaging in the practice test are to assist them to become familiar with the testing platform and the types of questions asked. It will also ensure the school-installed locked down browser on student laptops is operational, and that any other concerns can be addressed prior to the official testing in May. Students will need to ensure that they bring headphones and that their laptop is fully charged prior to undertaking the test. As this is a practice test, student work will not be marked and therefore no results will be available. If students are absent on the day of the test, no catch-up is required. Samples of the questions can be found at this link. For further information, please refer to the ACARA Information Sheet and information from NESA. We are asking parents and students to view the practice test as a positive opportunity to engage with online testing strategies and an important part of the preparation for the school delivering Online NAPLAN Testing in May. If you have any questions, please contact the Learning Office. 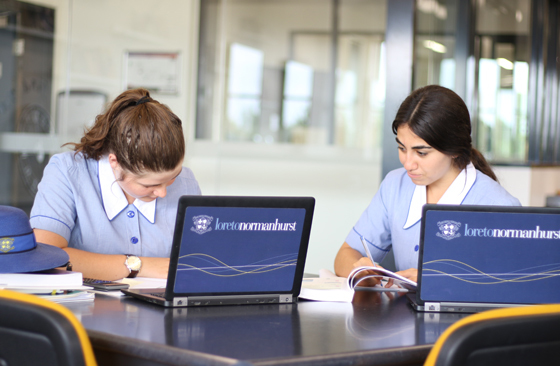 On Monday 1 April from 7:00pm – 8:30pm, Year 7 students and their parents are invited to a presentation from Dr Prue Salter from Enhanced Learning Educational Services in the Deirdre Rofe Centre (DRC) at Loreto Normanhurst. Dr Salter’s interactive presentation will focus on creating an environment that is conducive to producing good study habits and exploring how students can organise their time productively to avoid last minute stress. This refreshing and practical presentation will give you plenty to build on with your daughter. Last week Year 10 students received permission and medical documentation for the Canberra excursion, which will take place from Wednesday 15 to Friday 17 May 2019 (Week 3, Term 2). Each student will need to return a permission note and a student and family detail report confirming contact details and medical information. Both of these forms were due back completed and signed to the learning office by Friday 22 March 2019. It is important that even if there are no changes to your daughter’s medical information that the form is still signed and returned to school along with the signed permission form. Please do not hesitate to email the Learning Office with any queries.